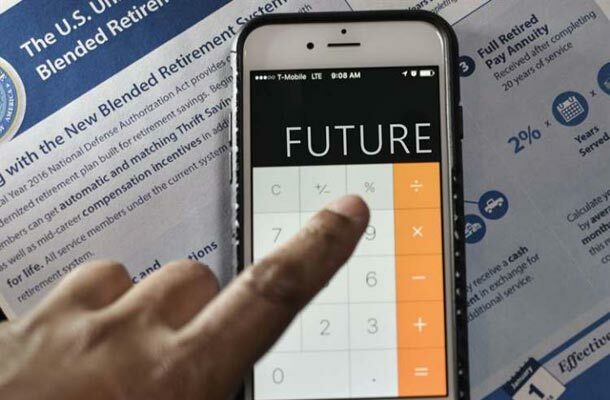 The long-awaited Department of Defense Blended Retirement System Comparison Calculator is now available online. It helps eligible service members compare the legacy military retirement system (High-3 System) with the new blended retirement system (BRS). This calculator is designed to be used after completing the mandatory BRS Opt-In Course online. The calculator asks you for basic information such as your age, years of service, rank and estimated years of service at the time of separation or retirement. It then automatically fills in information such as expected rate of investment return, life expectancy, Thrift Savings Plan (TSP) contribution percentage, and career progression. Fields can be altered to individualize results. Using the information you provide, the calculator provides you with a comparison of the two plans. The online calculator and BRS Opt-In Course are resources being made available to service members and their families prior to January 1, 2018 when the BRS goes into effect. Watch this video to learn more about who is eligible to participate in the BRS and how it may benefit you and your family. Now’s also a good time to review your life insurance as part of planning ahead. SGLI ends 120 days after you leave military service. USBA provides military veterans with “portable” life insurance coverage that fits the unique needs of those serving, transitioning and retired from military service. You can buy it now and keep it no matter where your civilian life takes you.